— John P. Welle, Professor of Italian and Concurrent Professor of Film, Television, and Theatre, University of Notre Dame, USA. A History of Italian Cinema, 2nd edition is the much anticipated update from the author of the bestselling Italian Cinema – which has been published in four landmark editions and will celebrate its 35th anniversary in 2018. Building upon decades of research, Peter Bondanella and Federico Pacchioni reorganize the current History in order to keep the book fresh and responsive not only to the actual films being created in Italy in the twenty-first century but also to the rapidly changing priorities of Italian film studies and film scholars. The new edition brings the definitive history of the subject, from the birth of cinema to the present day, up to date with a revised filmography as well as more focused attention on the melodrama, the crime film, and the historical drama. The book is expanded to include a new generation of directors as well as to highlight themes such as gender issues, immigration, and media politics. 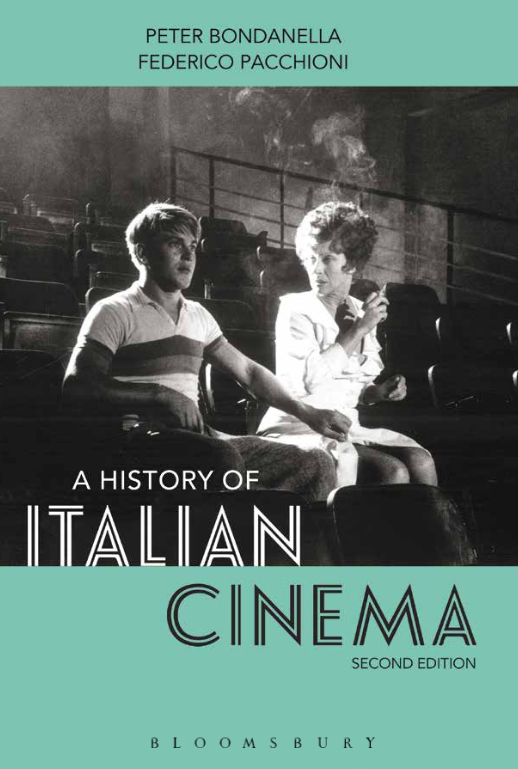 Accessible, comprehensive, and heavily illustrated throughout, this is an essential purchase for any fan of Italian film. Copies can be pre-ordered on Amazon.